I’m going to guide you along the journey to mastering your skills and realizing you have the ability to learn QuickBooks! I know you can do it! After 10+ years of working with hundreds of unique businesses from Medical businesses to Chiropractors, Dentists, Auto Body, Construction, Consultants, Real Estate Investors, Restaurants and more, I’ve learned how to customize QuickBooks for any type of business! I’ve also used QuickBooks in my own businesses and know the value of reports and truly understanding they will change your bottom line! My specialty is making this often complicated subject easy to understand for Entrepreneurs just like you. Do you realize the value of keeping track of your numbers? Are you ready to make tax time easier? Have you tried to use QuickBooks, and feel frustrated? Whether you are a newbie or advanced user, this course will teach you how to optimize QuickBooks around your specific business, and customize it to your needs. 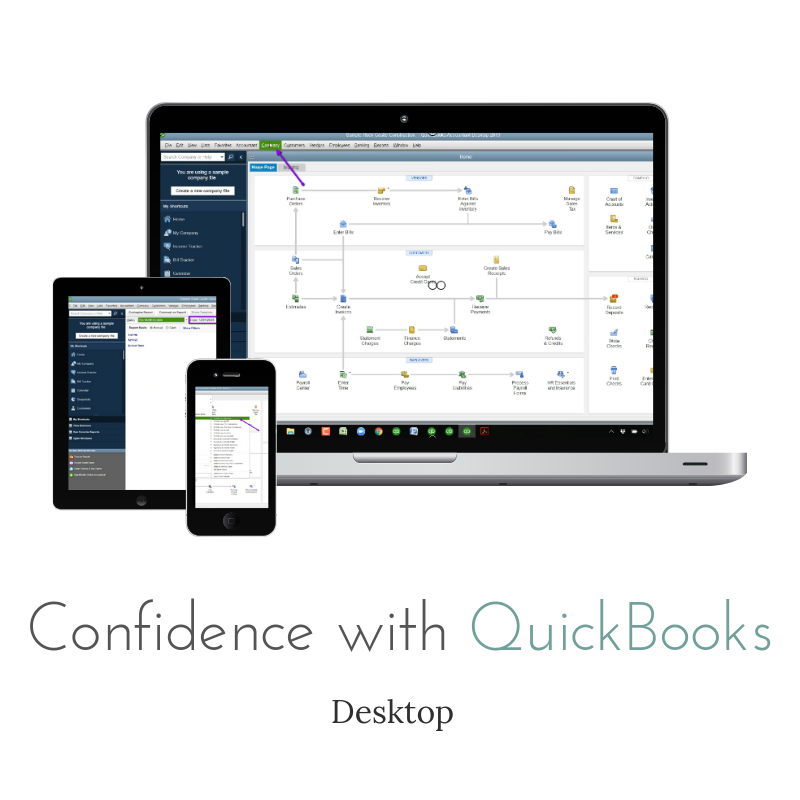 Confidence with QuickBooks is an Online Program where you can get your questions answered, and start to truly understand and create Confidence with QuickBooks! Do you realize the value of keeping track of your numbers? Are you ready to make tax time easier? Have you tried to use QuickBooks, and feel frustrated? 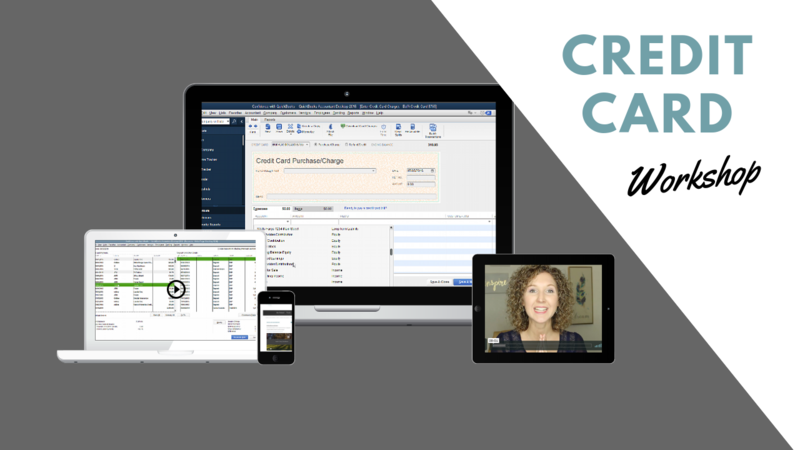 Whether you are a newbie or advanced user, this course will teach you how to optimize QuickBooks around your specific business, and customize it to your needs. 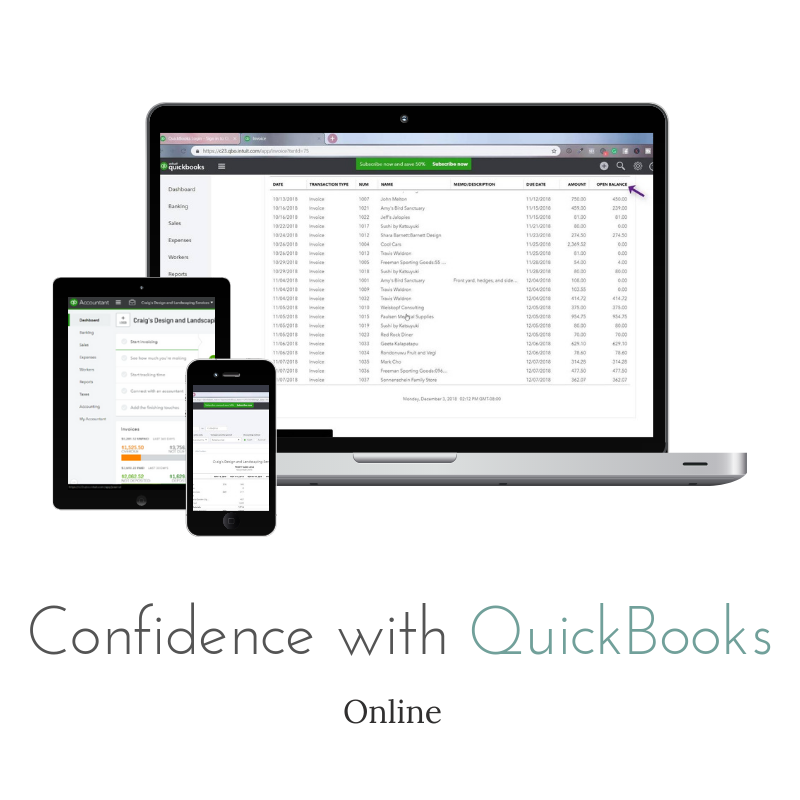 Confidence with QuickBooks Online is an Online Program where you can get your questions answered, and start to truly understand and create Confidence with QuickBooks! 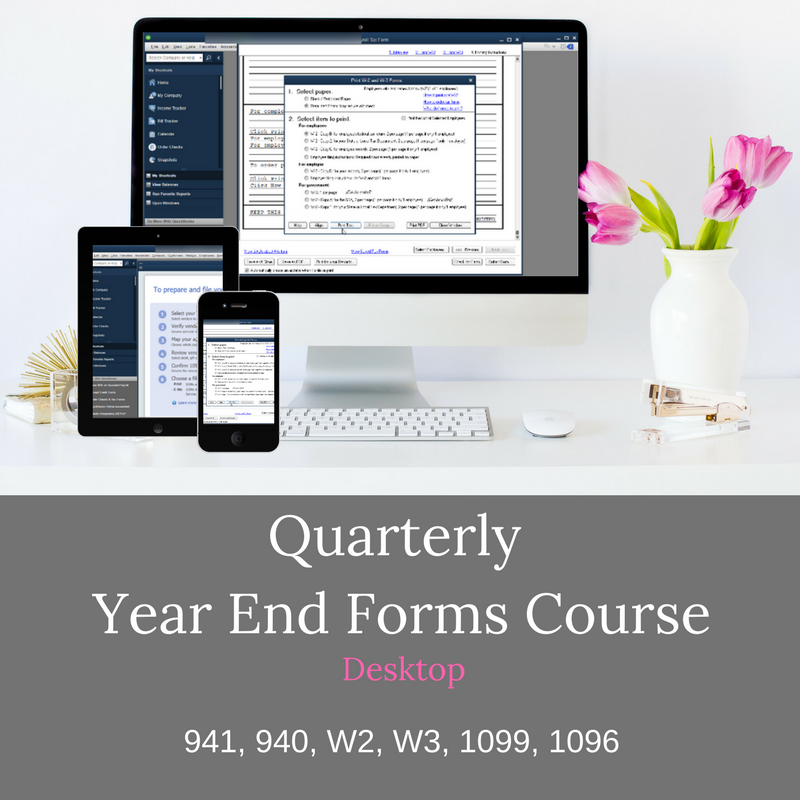 Ready to process your Quarterly or Year End Forms? Are you unsure what you need to do? This is a step by step course with 7 videos. You will learn how to verify and Process the following forms: 941, DE9, DE9C, 940, W2’s, W3, 1099-misc, 1096. Year End Tax Forms with Candus is an Online Program where you can start to truly understand and create Confidence with QuickBooks! Ready to process your Quarterly or Year End Forms? Are you unsure what you need to do? This is a step by step course with 4 videos. You will learn how to verify and Process the following forms: 941, DE9, DE9C, 940, W2’s, W3, 1099-misc, 1096. 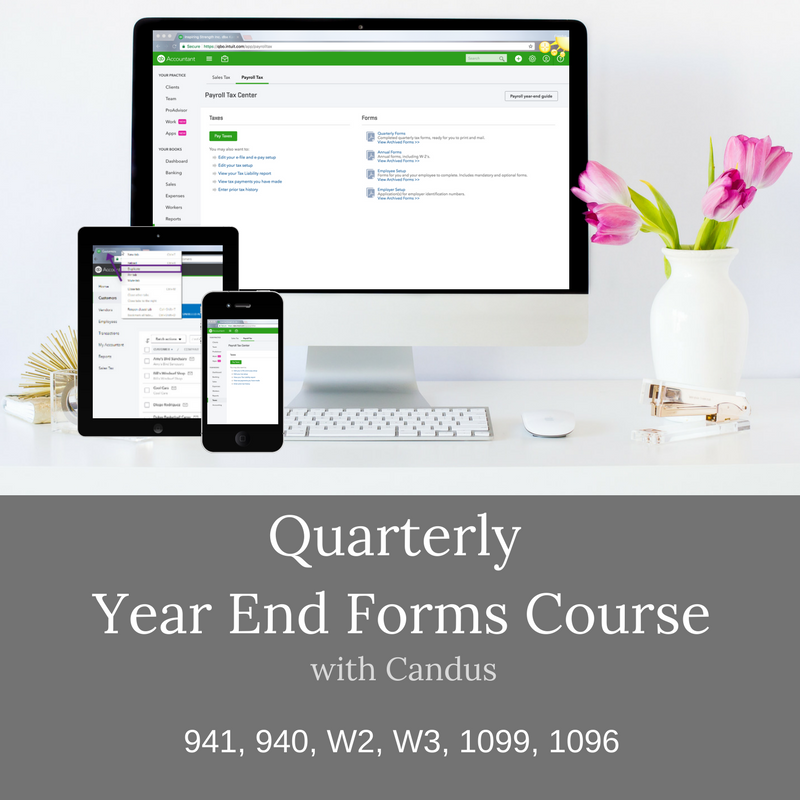 Year End Tax Forms with Candus is an Online Program where you can start to truly understand and create Confidence with QuickBooks! 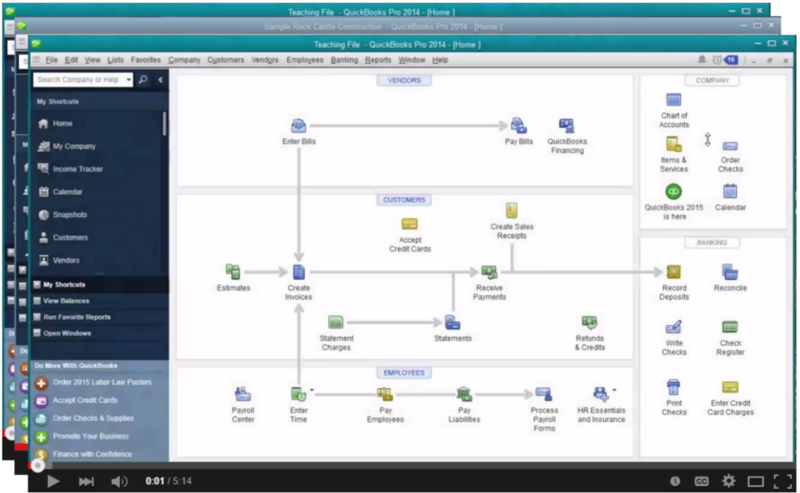 Learn how to setup your Credit Cards in QuickBooks? In this workshop you will learn how to enter credit card charges and credits. How to properly apply your credit card payments (no more issues). You will even learn how to reconcile your credit cards. This is a step by step workshop recorded live. Are you ready to feeling Confident with your Credit Cards in QuickBooks? I knew nothing about QB when I started Confidence with QuickBooks. The videos did the trick now… and still continue to help me out daily. I can move around and understand the system! I had to fix an entire years worth of entries, and you helped (through the videos) me get through it all. I’ve reconciled all the Bank Statements to ZERO — for the entire fiscal year. All of your videos are extremely helpful, and very well done. Short and sweet is a BIG plus when covering your topics. It simply explains things in a Non-Technical way and it was simple to understand with your help and explanations. Your approach hit a home run… “take it easy”, “easy does it”, “one step at a time” was exactly what I needed. Learning the basics of the program — that was a key building block. My business (a Church) is only using the Banking Center at this time… which is all I need. You really helped me get a handle on it, and I can’t thank you enough for the program you put together. Keep up the good work your doing… there are a lot of us out here who need you. I was totally new to QB. I’ve used systems before to manage projects and invoice, but I have 0 accounting experience. Now I’m running our business smoothly and efficiently! Love it!! At first I was impatient to get through the videos. “Come on come on come on get to the good stuff,” but when I started working in QB I realized just how important all that was. I now seem to understand how it all works, so if I don’t know how to do something, I can figure it out in a few clicks. Thank you so much Candus!!!!! 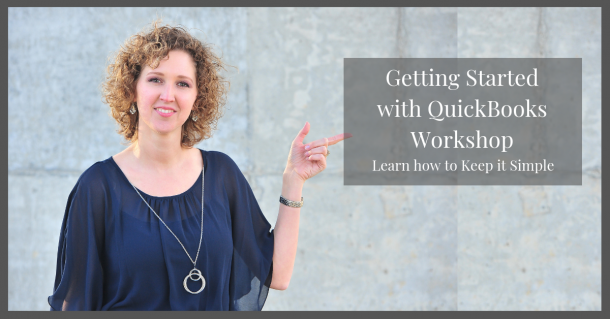 The biggest breakthrough for me after taking Confidence with QuickBooks was realizing that with the completion of each section in the course I gained more and more understanding and thus much more confidence. I had many problems before working with Candus because I didn’t know anything about QuickBooks. The multiple problems affected my productivity and accuracy in bookkeeping.This was costing me time & money. I contacted Candus when I began working many late hours keeping up with bookkeeping. I immediately saved time and was able to do my billing easier. Now I am able to train new office employees on my own. Our business has become more profitable because QuickBooks has made it so much simpler to keep track of expenses and income. Candus came to my rescue when I first started to use QuickBooks in 2007. I needed QuickBooks for my business and did not know where to start. She came to my office and help me set up QuickBooks for my business. Candus was patient, informative and very professional! She called to check up on me to make sure all was going well, and it was! I use QuickBooks every day and it has made life easier. I highly recommend Candus to help anyone with their QuickBooks. She definitely made it easier for me! Candus is a great QuickBooks Consultant! She is proficient, prompt and knowledgeable. She set up our business foundation using QuickBooks and continues to serve as our “go to girl” for any QuickBooks questions, updates that I am unfamiliar with and general QuickBooks questions I may have. She is thorough and thoughtful with her approach and applications. I appreciate her enthusiasm. Working with her as part of our business has brought more confidence for running my own payroll within our company. It has been a joy to work with her! Of course, when in great need, it’s wise to ask a knowledgeable friend for a recommendation as to who to call for help. That friend recommended Candus and I made the call. I am fully able to pay bills, complete bank reconciliations and keep current with all the changes that needed to be updated. THAT’S SUCCESS! And that’s what Candus did for us! We implemented the training and immediately experienced results. We expect to further maximize our use of the program which will result in less time loss and more productivity. I couldn’t find anyone to fix the mistakes and didn’t know how to fix them myself. I felt you saw the whole picture immediately and understood what needed fixed. Very very relieved! And I’ve learned to look at all reports and payroll liabilities to make sure they balance. I feel like I you supplied me with years of training. 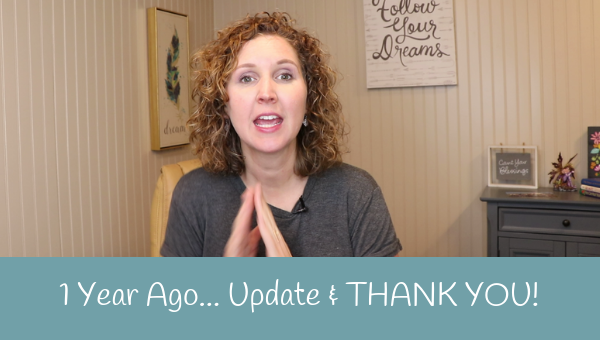 Weekly Videos with Tips & Tricks for QuickBooks!